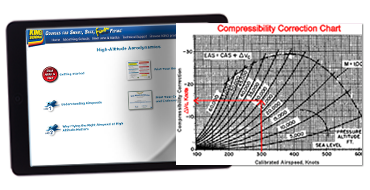 This High-Altitude Aerodynamics course provides the information to keep you safely inside restricted flight envelopes encountered when flying at high altitude in an efficient, effective, practical, and easy to understand format. This course provides recurrent training in high-altitude aerodynamics to help meet the requirements of FAR 91.1065(a)(2) for Part 91K operators, Part 125.287(8), and FAR 135.345(b)(5) for commuter and on-demand operators. Satisfies IS-BAO recurrent training requirements. When you complete this course you'll be ready for ground and simulator training in aircraft specific conditions.